Above all, Michael Nash is community of residential building professionals. For more than 25 years, our unique high-performance work culture has been shaped by the personal needs of local homeowners, who have consistently challenged us to expand our capabilities, and who have, likewise, honored us with their confidence in our ability to satisfy their always-evolving requirements. Those who have followed this firm’s progress from the start tell us that one of our enduring contributions has been to make both home improvement and custom home building a homeowner-friendly experience. As a market leader, we were one of the first design-build companies in northern Virginia to aggressively develop dealer relationships—and to make it a policy to pass on our cost for materials, products and accessories directly to you, our customer. Along these lines, we the area’s first licensed contractors to introduce a comprehensive showroom– a useful consumer research facility that now features over 22 fully assembled displays. Our passion for building, moreover, has frequently resulted in home remodeling solutions admired by other professionals. Over the past ten years we’ve won more “Contractor of the Year” (COTY) awards than any other firm in greater Washington, DC, and our work has often been featured in local, regional and national newspapers and magazines. Michael Nash is an award-winning design build firm dedicated to making its clients’ dreams and visions come alive. Over the years, our services have evolved to handle every phase of your building or remodeling project, from design to construction and even interior decorating. So whether you’re interested in a custom home, an addition or extension, a remodeled kitchen or bathroom, a new interior or exterior, Michael Nash Design, Build & Homes can make your dreams come true. Call us at 703 641 9800. Since 1986, clients in the Northern VA area have come to Schroeder Design/Build when they need to add space or redefine their living areas, to overhaul aged rooms that are no longer meeting their needs and to add dream spaces like gourmet kitchens and spa bathrooms, offering retreats from the hectic world. We provide clients with complete design and construction services and highly sought-after craftsmanship. On every project, we work “hand in hand” with clients to transform their current home into their dream home. Our focus on collaboration, communication and honesty sets us apart. *Collaboration* When you choose Schroeder Design Build you become a collaborative partner in the design of your project. From the beginning, we listen to your needs and encourage your input and feedback on the design so that the end product is exactly what you want. *Communication* Schroeder Design Build's online communication system gives you total access to scheduling, pricing, and selections. In addition, this system allows you to ask questions and send messages to your project team. Our system keeps a record of everything in one place where you can access it anytime you like, even after your project is completed. *Honesty* Schroeder Design Build provides their clients with straightforward pricing that tells you exactly what you get for your budget. Add-ons and deductions are spelled out so that you can make informed decisions. Schroeder Design Build hosts several remodeled Open Houses throughout the year to provide you with the opportunity to see our work first hand and meet our team. Please visit our website www.SchroederDesignBuild.com and go to the News tab to see when our next Open House is scheduled. 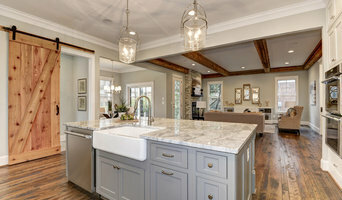 Here at Boss Design Center, we are as committed to getting your kitchen remodel, basement finishing, bathroom remodel, and room addition started and finished as you are, so call our expert team of renovators and remodelers who are standing by to deliver quality results from Maryland to the District of Columbia to Northern Virginia. More than just a business in these areas, we consider ourselves neighbors and community members. Fully licensed, bonded, and insured, you can rely on our professionalism to deliver the results that you were looking for when you first began looking for contractors to help realize your remodeling ambitions. While we are more than happy to replace those aging kitchen cabinets, the scope of our vision exceeds those small ambitions, and as our name implies at Boss Design Center, we take a keen interest in the entire design process from drawing board to completion. We have great ideas to help you realize your remodeling dreams from that room addition to the ultimate kitchen remodeling; we bring ten years of experience to the design table and construction site. Contact us today and let’s start planning that bathroom remodeling dream project. 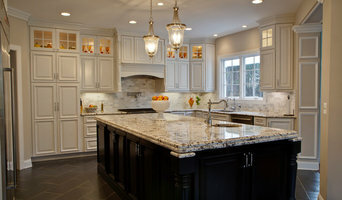 Daniels Design & Remodeling (Daniels Remodeling®) is Northern Virginia's premier boutique home remodeling firm. We are dedicated to providing customers with the renovation they have always dreamed of. At Daniels Design and Remodeling, our managers and lead carpenters each bring unique backgrounds and expertise to your home project. We are talented designers, production specialists, carpenters, masons, and skilled tradesmen with decades of experience between us. Most of us grew up right here in the area, and learned our trades from top-level local builders. Creative Concepts Design Center has steadily grown to become the "Go To" resource for developers, general contractors, builders, designers, realtors, architects, and people in trade. Tafti family has been in business since 1981 serving Virginia, Maryland, Washington D.C. & North American market providing high level of quality and service in wholesale and distribution of Kitchen Cabinet, Vanity, and Flooring. We have partnered with Major Developers, Builders, Architects, Realtors, Designers and General Contractors in the Virginia, Maryland, Washington DC, Pennsylvania and New York area to offer complete turnkey service. What we specialize in doing is eliminating the sometimes lengthy and strenuous amount of time spent in your investments. We offer peace of mine and making our client’s life better and easier for our clients to focus on their investment by offering high quality customer service, product knowledge and product value. We are here to make your life easier, better & help you to have a peace of mind and enjoy the quality, service and value in our products. We offer complementary design and layout services, someone will always be on site for delivery, everything will be inspected to the customers’ satisfaction. We offer installation services if needed. We are able to supply materials from kitchen cabinets, hardware, countertops, flooring and vanities with a lead time staring as quickly as 5 business days. If ever an issue should arise, we are there to deal with it immediately to eliminating time spent on your part traveling to the place of purchase. Having all your materials supplied by one source will not only greatly reduce any headaches involved but also greatly reduce turnaround time for your investments and both coordination and efficiency will be much greater. Our mission is to provide the finest products at prices that meet your clients budgets while treating you with the best service possible. When you visit CCDC we take the time to learn about your needs and to then share our design expertise and product knowledge. This ensures that you can make your selections with confidence. CCDC is proud to have been appointed as an Authorized Distributor and Dealer of VERSACE, Roberto Cavalli, LAMBORGHINI & more. Come be inspired! The best is the least we can do for you! Beth Goldsmith Creative Works, Inc.
Sun Design Remodeling Specialists, Inc.
Best of Houzz 2015-2018 Customer Service Award! As an award-winning architectural design-build and remodeling firm, we are passionate about helping our clients renovate happy to create "home". We are experts in identifying your needs, designing your vision, and managing the construction of your project – on time, on budget, and with definite style. Our entire team is dedicated to helping you actually enjoy the renovation process from start to finish. Because we understand that communication is key to an exceptional experience, we offer our clients convenient ways to stay in touch. We utilize an online project management system, and also offer the ability to meet online to accommodate busy travel and work schedules. During the construction phase, weekly in-person production meetings keep everyone on the same page. Our company’s principals take an active role and interest in every project. Together with our staff – which includes a licensed architect, an interior designer, and our field personnel – we have an award-winning group which provides comprehensive services for our clients, from design through the end of construction. If you’re looking for an incredible remodeling experience that puts you and your happiness above all else, you have found your perfect team! SB Builders & Construction Inc.
Peggy Golden, ASID is a top Fairfax, No. VA, Washington DC interior design and architecture firm, featured Kitchen Designer on NBC's HouseSmarts TV show, has 30+ yrs interior design, furnishings and decoration expertise. Your ideas, our inspirations we assist home owners with complete Home remodeling, Kitchens and Baths, creative space planning, maximizing the existing floor plan and opening up the home for increased work areas and storage. Peggy, a lighting expert designs glare free comfortable lighting designing healthy, happy creative interiors for your family’s lifestyle and comfort with modern conveniences and technology. Looking to update your home with increased living area, beautiful furnishings and family comforts, Peggy is an Aging in Place Pro designing home remodels, additions, Kitchens and Bath renovations with an eye on future needs and home sales. Increase family entertaining areas or add a main level bedroom bathroom suite with a new home addition. Start remodeling with space planning and furniture layouts and design the exterior to enhance curb appeal with stunning results you will love to retreat to and entertain in with family and guests. Permit drawings available Kitchen Design & Specifications: Understanding cost implications of cabinetry and remodeling Golden Interiors guides home owners in what to look for, what to avoid and how to maintain a moderate budget with making selections before shopping. A Plan of Action consult will clarify the numerous decisions required in a Kitchen/Bath or Home Remodeling project. Get objective advice before visiting show rooms where commissioned salespeople are invested in your product selections. Green design and cabinetry options are available, built locally and installed maximizing every inch of space with all the latest storage applications and conveniences. Design build options for all cabinetry, custom bookcases and specialty furnishings. Peggy is a dog lover and understands designing a home that is pet friendly using materials that maintain well with pets. Born in Boston and worked in New York City for 10 years, Peggy brings forth a wealth of creativity and knowledgeable construction details simplifying design and remodeling process for all involved. Designing and maximizing small spaces is a specialty having planned many tiny apartments in NYC with creative use of space and built in furnishings. With over 30 years' experience in cabinet making, kitchen & bath design and remodeling, MJA Design has gained the confidence of homeowners throughout Northern Virginia. Our ability to solve unique challenges, provide unparalleled workmanship and educate our customers remains our passion. We are one of the only kitchen design firms in the area that manufactures our own cabinets in-house. Call us today to start talking about your next project! Craft Kitchen & Bath serves VA, MD and DC for residential & commercial. We specialize in Kitchen Remodeling, Bathroom Remodeling, Flooring, Cabinet & Countertops, Interior House Painting, and Tile & Ceramic. Craft Kitchen & Bath has a solid reputation in the home business with many years of experience. The company has a contemporary vision of designing according to the customers’ taste. Not with standing, we are a company that is loyal to traditional values as well. At Craft Kitchen & Bath we respect both modern & conservative tastes. Personal attention to customers' needs is another great advantage that we provide. 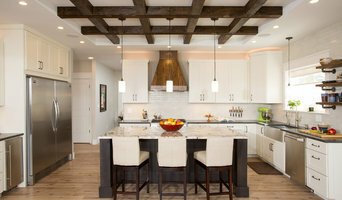 Northern Virginia Premier Design-Build Firm Best of Houzz 2013-2018! We are a full-service architectural design-build firm located in Falls Church, Virginia. We provide cutting edge residential design solutions for our clients, our experience ranges from renovation projects to ground-up construction. Another area of expertise is the historical preservation and remodeling of residential, institutional and commercial buildings. Mattice Design is a full-service, family owned company that provides everything you need for your home remodeling project from start to finish. At Mattice Design, we believe good design takes on a form that is functional, efficient and aesthetically pleasing. Our mission is to provide personal and creative design, outstanding service and quality craftsmanship to our clients. We are committed to delivering these services as promised, on time and within budget every time. Our designers, contractors and support staff work seamlessly together as a cohesive design-build team and we assume responsibility for the project from initial design right through construction, including budgeting, ordering products, obtaining permits, and scheduling the entire project. We provide a personalized service, keeping in touch with our clients to make sure that they love the end result.